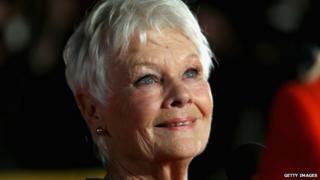 Dame Judi Dench is to star in the film version of the novel Tulip Fever by Deborah Moggach. The movie, whichwill be adapted by Sir Tom Stoppard, will also feature Christoph Waltz, Holliday Grainger and Zach Galifianakis. Stoppard also scripted Dench's Oscar-winning movie Shakespeare in Love. Historical drama Tulip Fever focuses on Cornelis Sandvoort, a Dutch man who has made his fortune from the tulip trade. The wealthy Sandvoort, played by Waltz, attracts a beautiful young wife, but her attention begins to stray when her husband commissions a dashing young painter to do her portrait. Dame Judi will play the Abbess of St Ursula's, who takes in orphaned children. British film-maker Justin Chadwick, best known for Mandela: Long Walk to Freedom and The Other Boleyn Girl, will direct. Tulip Fever, which is due to be released next year, has been on the back burner for more than 10 years. It was due to get off the ground in 2004, starring Keira Knightley and Jude Law. However, changes in tax rules affecting film production in the UK called a halt to production. Moggach is the best-selling author of Heartbreak Hotel and the Best Exotic Marigold Hotel, which was also made into a movie with an all-star British cast, including Dame Judi.